With OP you can monitor SNMP-compliant printers on the network and check their use online. OP scans for network printers on the local network at 10 minute intervals. 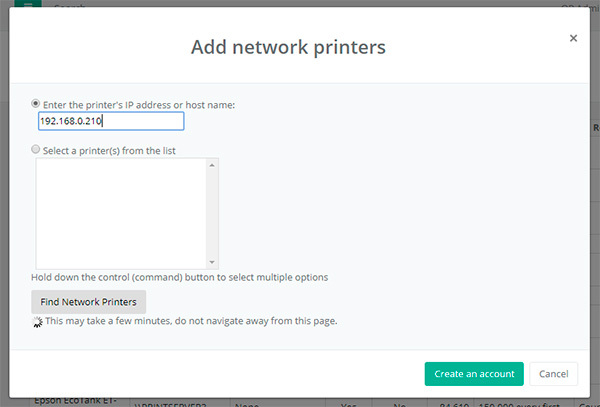 Click the "Create Network Printer" Button.